The UK is recommending that stomach stapling surgery be offered to severely obese children. 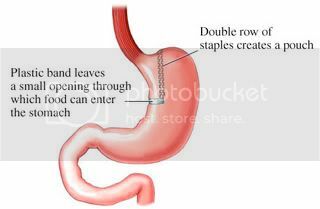 British health officials are recommending stomach-stapling surgery for severely obese children. Britain has the worst obesity rates in Europe, with a fifth of its children projected to be obese by 2010. And it’s the first European country to recommend surgery for obese children. The National Institute for Health and Clinical Excellence said obesity is now more damaging to health than smoking, heavy drinking or poverty.